Mentorship matters on all sides of the equation. 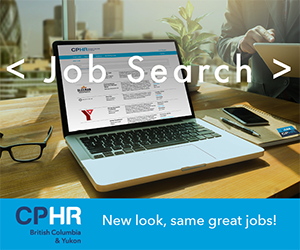 With more than 475 CPHR BC & Yukon members involved in the Professional Mentorship Program (PMP), the experience is deemed invaluable to mentors and proteges alike. 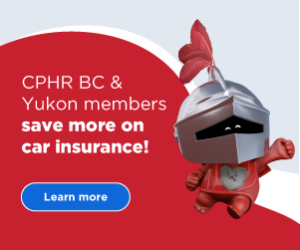 With application for the program happening August to Mid-September, CPHR BC & Yukon’s PMP runs October through June with check-ins along the way. One of the many success stories from the PMP is the mentor/protege relationship Theresa Henrisken, CPHR and Janice Green share below. 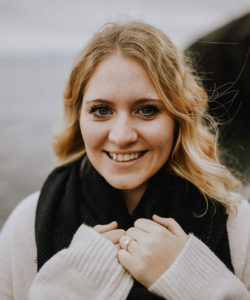 A passionate HR professional and leadership coach, Theresa Henriksen, CPHR is an engagement associate at Engaged HR and is the current chair of the Vancouver Island Advisory Council for CPHR BC & Yukon. 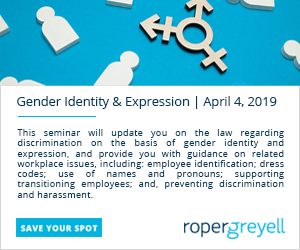 After graduating with her Commerce Degree from the University of Victoria, her career in human resources has included experience in the hi-tech, retail, hospitality and tourism, telecommunications and service, not-for-profit and construction industries. With her focus on people and the employment relationship, Theresa’s expertise has been centered on recruitment and selection, performance management and employee relations. Who or what served as your earliest inspiration in pursuing a career in HR? Believe it or not, there was a defining moment while I was working in retail and studying international business at UVic that set me on the path of becoming a human resources professional. UVic’s program included an abundance of organizational behaviour classes, and a situation with a colleague at my part-time retail job sparked the idea that being in HR could impact how people felt about their careers. It was like the realization of employee engagement before I officially learned about it, and I decided that was where I wanted to focus my career and spend time being able to impact the employee-employer relationship. Why did you choose to become a mentor in the CPHR BC & Yukon Professional Mentoring Program? At the beginning of my career, I participated in the Professional Mentoring Program as a protege for a few years. Having the opportunity to connect with experienced professionals was inspiring, educational, and insightful. I chose this career path because I like helping people, and when I felt I had some experience and expertise to offer to emerging practitioners, I was happy to participate as a mentor. I look forward to the program each year to give back to the profession, to share what I’ve learned with others and to continue my own learning and development in the process! What has been the greatest satisfaction of being a mentor? The greatest satisfaction has been seeing the proteges I’ve been matched with grow in their careers. Sometimes it happens quickly, depending on where a protege is at and how driven they are to pursue the next stage in their career. Other times, it is in crossing paths at future CPHR BC & Yukon events and catching up that I get to hear about their growth. The relationships established from participating in the Professional Mentoring Program endure beyond the term of six or nine months, and it’s rewarding to build my network with a diverse group of HR professionals. The field of HR is diverse and, as long as people are employed, there is the opportunity for HR professionals to add value to organizations. The advice I share with anyone considering a career in HR is to research the variety of career opportunities that exist in HR, network, ask questions, conduct information interviews and then determine what you’d like to focus on. There are so many great aspects of being an HR professional that it can be overwhelming in the beginning. I believe there’s a role in the HR profession for all types of people. 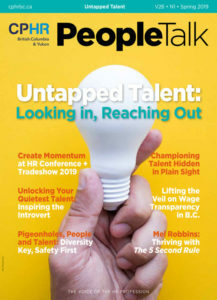 Numbers-oriented people can focus on compensation and analytics, tech-focused people can play a role with HR information systems and reporting, and there are a range of careers within HR from the very strategic to the very tactical. Bottom line advice — go for it! Janice Green is the people and performance administrator at Bambora. Janice began her career in HR after graduating from the Bachelors of Business Administration program at Camosun College, and is learning new things about the HR profession every day. 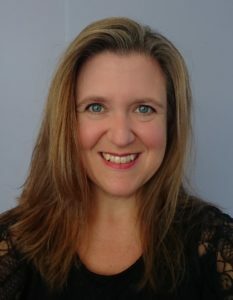 Janice sits on the Vancouver Island Advisory Council for CPHR BC & Yukon as the volunteering portfolio lead for Vancouver Island and is passionate about inspiring others to pursue a career in HR. What inspires you most about the HR profession? I’m inspired by and passionate about HR because for me, HR is where process meets human interaction — those two things are what I’m all about. I’m in love with the way HR can support and change the way employees work and live, and be a catalyst for culture. I’m excited to see how the face of HR changes as our ways of working shift, and it’s exciting to be on the forefront of it all. HR is a diverse career and you are always facing new challenges and learning from others. Why did you choose to become a protege in the CPHR BC & Yukon Professional Mentoring Program? 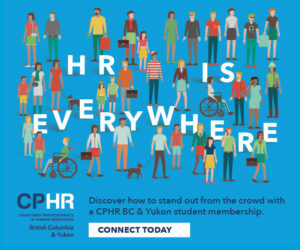 I initially chose to become a protege in the CPHR BC & Yukon Professional Mentoring Program to make connections within the community, talk through challenges I may have been having in my work or school and to gain more confidence in the next steps for my HR career. I was already part of the Association and it seemed like an enriching way to immerse myself in the community even further. What is the most important aspect of the mentor/protege relationship? Trust. Without trust you don’t have much of a relationship at all. I also think it’s so important to be comfortable feeling vulnerable within the relationship. What level of time commitment is involved with being a mentor in the CPHR BC& Yukon Mentoring Program? I’ve now had three matches within the CPHR BC & Yukon Mentoring Program, and the time I’ve spent with each has varied. I’d say typically, one-to-two hours per month depending on your level of connectivity, and your needs at the time. Time spent will fluctuate naturally! 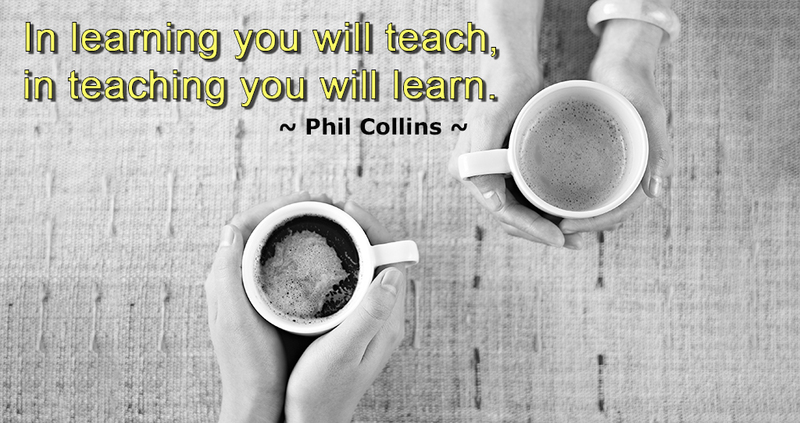 For more information on CPHR BC & Yukon’s Professional Mentoring Program visit our website.